Following on from their wonderful dramatisation of 'The Mill on the Floss' last year we are delighted to be welcoming back the Bristol Old Vic Theatre School as part of their West Country Tour 2019. This year they will be presenting their production of 'The Canterbury Tales'. There aren't many shows still delighting audiences after over 600 years but this is one. 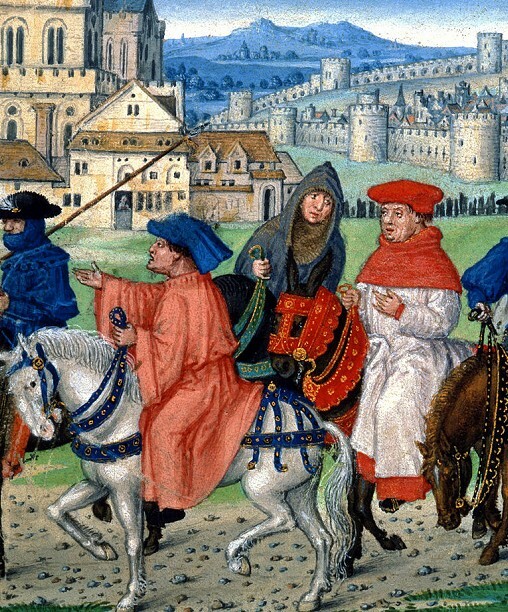 'The Canterbury Tales' is a touchstone of English literature, credited as an important moment in the popularisation of the English language in mainstream literature. A colourful cast of characters set off on a pilgrimage to Canterbury. On the way they start a story-telling contest and compete to tell their tales of love, lust, adventure and chivalry. Brimming with verve and energy, Chaucer’s well-loved stories are brought beautifully and vividly alive by the students from Bristol Old Vic Theatre School. Opened in 1946 by Laurence Olivier, the Bristol Old Vic Theatre School has grown a reputation for attracting the very best in young acting talent and has some notable alumni to its name including Daniel Day Lewis, Greta Scacchi, Peter O’Toole, Olivia Colman and many more. The annual West Country tour gives you a chance to see the stars of tomorrow, on stage today! 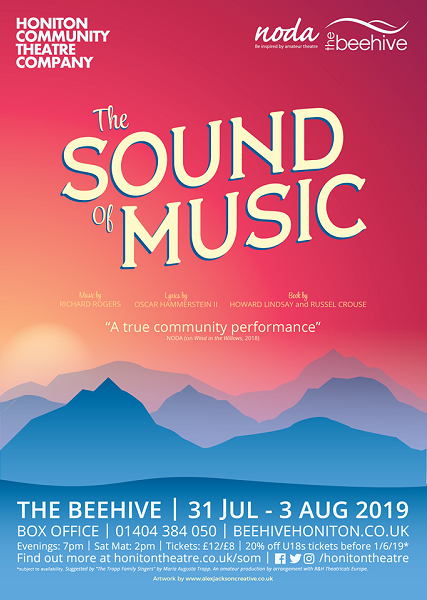 Following the sell-out success of The Wind in the Willows (2018), Honiton Community Theatre Company return to The Beehive with one of the best known musicals of all time. This classic Rogers and Hammerstein hit follows the young woman Maria as she is thrown into looking after the seven von Trapp children in the stunning surroundings of the Austrian Alps. With the threat of the Nazis just across the mountains and a father who isn’t sure how to love his children, Maria must protect them and help the von Trapps become a family again. Join Maria, her fellow nuns and the von Trapp Family on a journey that will push them all to their limits, but will they escape with their lives intact? Amelia Kyriacou, Amelia Hibbert, Matt Harvey-Ingram, Jake Bonetta, Kayley Docherty, Ryan Hutter, Lexie Kyriacou, Ian Crew. 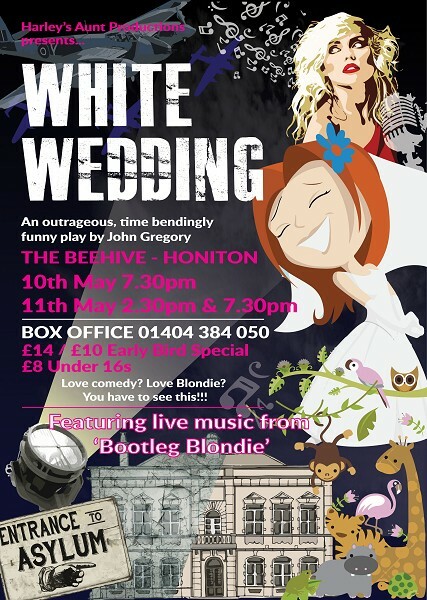 Click here to be the first to hear about Honiton Community Theatre Company news, events and info presentations by signing up to their email newsletter. 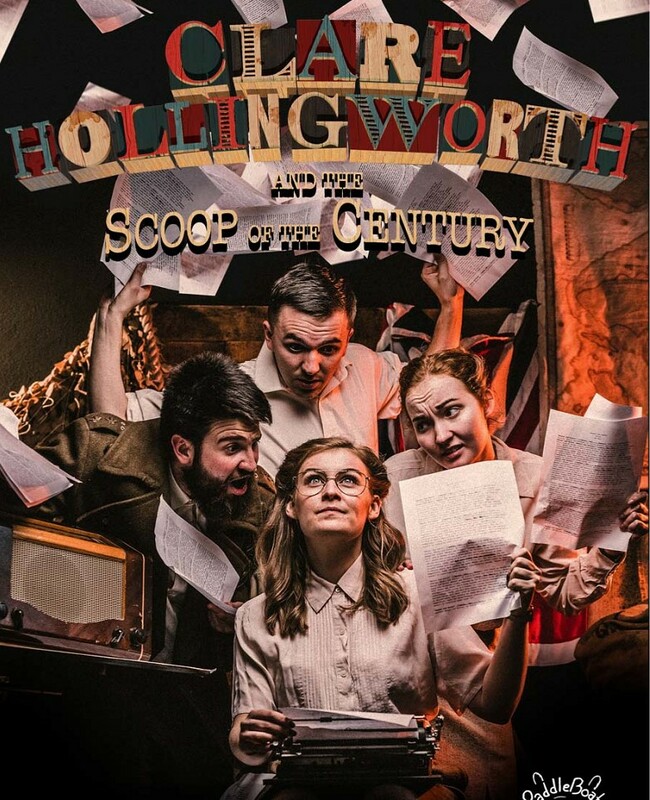 PaddleBoat Theatre Company present the tale of fearless journalist Clare Hollingworth. From the busy newspaper offices in London to the frontline during World War II, Clare’s adventures tell the remarkable true story of one of the most important writers of our time. This globe-trotting and playful family show embarks on the journey of Clare’s life. A life-story which has been forgotten for years. We’ll celebrate the work of a pioneer who changed the mould of journalism, not just for women but for everyone. PaddleBoat bring their unique style to this remarkable tale of daring, intrigue and an invasion that would rock the world. We invite you to be journalists with us as we go undercover in a highly interactive show bursting with storytelling, songs and the scoop of the century. 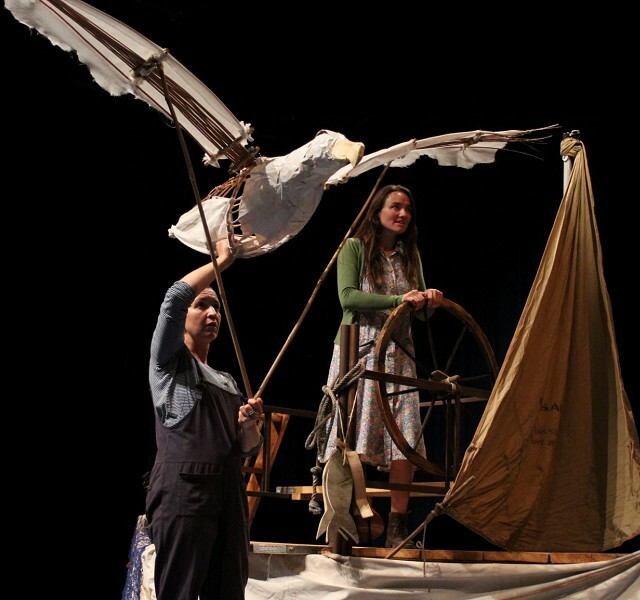 Combining a unique style of puppetry, live music and visual performance, 'Lily and the Albatross' is a heartfelt story about achieving the unachievable and never letting go of your childhood dreams. Far out in the wild and remote ocean is a small family on an old fishing boat who pass the time with exciting stories and merry music. The whims of the water control their daily routine but Lily finds herself gazing upwards, where birds swim weightlessly above her head before stealing the precious fish from the fishing nets. With the threat of the nightly storm and its whipping winds, the family must pull together, take a leap of faith and look beyond what they have always known to get themselves and their old boat moving again. Discover the legend of Great Captain Markham, join the family as they battle the elements and meet a gliding albatross, who flies in the face of the storm and gives Lily the nudge she needs to truly stretch her wings. 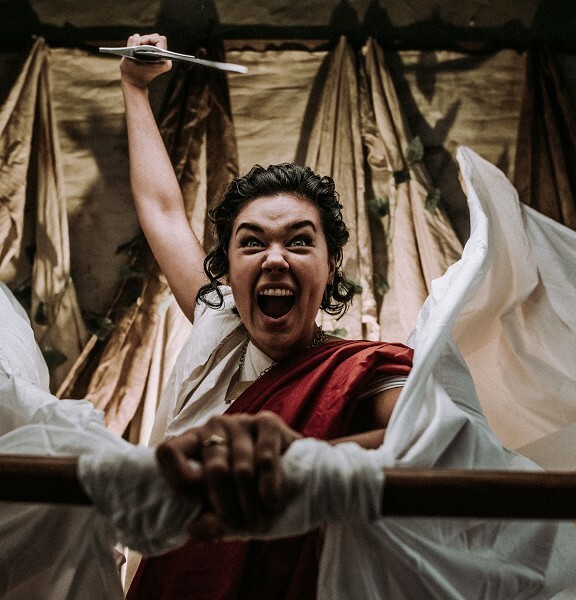 Tall Tree makes theatre that touches the hearts of both adults and children, with bespoke wooden and metal puppets, live music and stories that speak to all generations. Tall Tree are Associate Artist at Forest Forge Theatre Company and create original stories written by Anna Harriott.